The Lotus23 first saw UK tracks in 1962; the 23B and its Ford based twin cam following in '63. Jim Clark racked up many wins in this car, so much so that it was actually BANNED from LeMans as as not being "in the spirit of the race"! Today the Lotus23B can be seen at many Vintage racing festivals. In this mod, in the Skins you will find a wide variety of paints from which to choose. 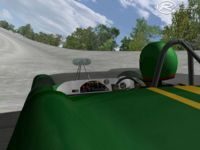 Be sure to click the Upgrades: the car is extremely customizable, with choices of shift lights (or none), driver arms, dashboards, mirror placements and wheels. 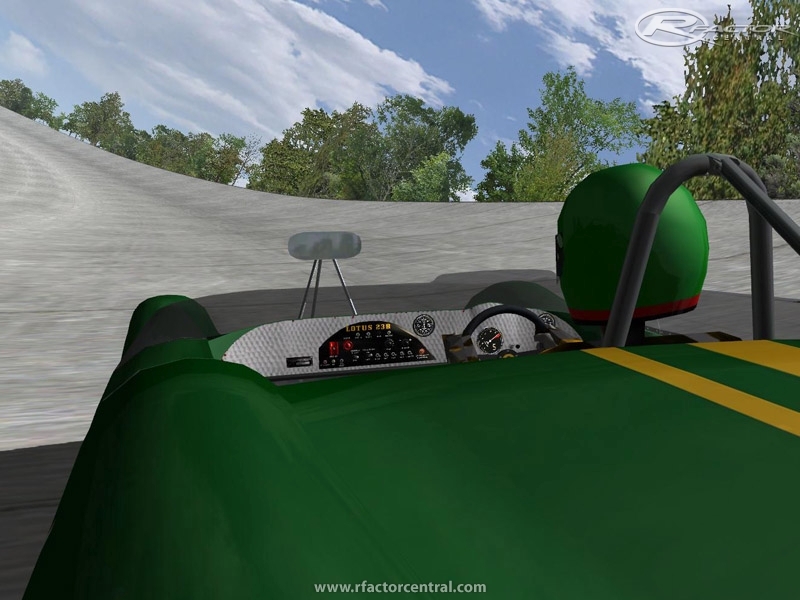 There are currently no setups for Lotus23B. Add a Setup. There are currently no car skins available for Lotus23B. If you are a painter you can share skins for this mod via the Car Skins area. Visit the Spray Booth for painting tips & tricks. Bryant Park Hillclimb, Also known as Haunted hills (morwell hill climb new). Pity that the suspension file is for some other car with a longer wheelbase rather than the short 90" wheelbase of a Lotus 23B. And what's up with the 10" tread width in the TBC? No painting template, no shading on the skins, and odd packaging with no intention of creating AI teams.